Comfy, productive, and long-lasting. 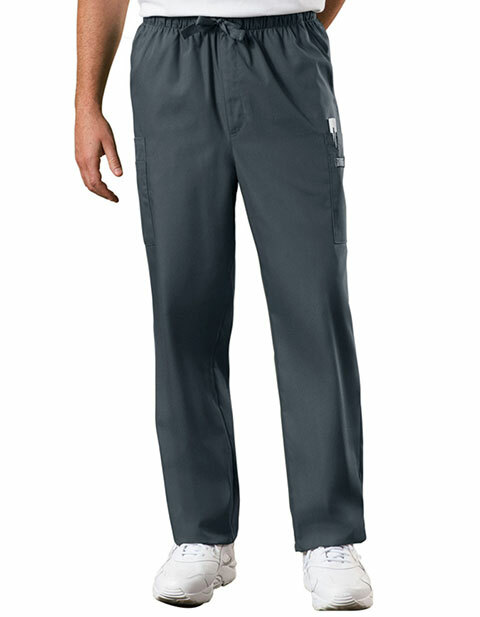 Cherokee Workwear men's drawstring cargo tall scrub pant is a must have for professionals. Made of pleasant fabric, the natural rise garment is designed to provide you a professional look and pleasant fit with extraordinary value for money. Featuring elastic waist with reinforced draw cord and functional zip fly, you can tighten the garment at your desired fit. Moreover, multiple pockets offer ample storage space for all of your workplace essentials saving your time and adding efficiency to your performance.